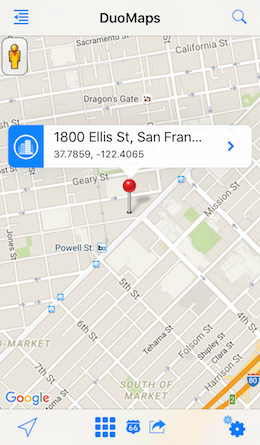 DuoMaps: an iOS app for Google Maps and Street View! Buy DuoMaps from the App Store today! 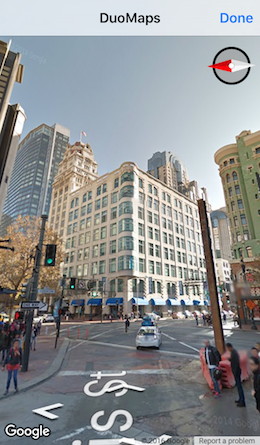 Get back access to Street View with this handy app. 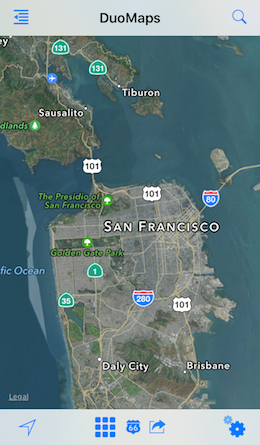 The app is compatible with iOS 8 and iOS 9 and you can seamlessly switch between Apple and Google maps. You can also track your location on the map as you move around. DuoMaps works on iPhone, iPod touch and iPad devices running iOS 8 or iOS 9. Please note: The app requires an Internet connection to function and works best when it has access to your location.